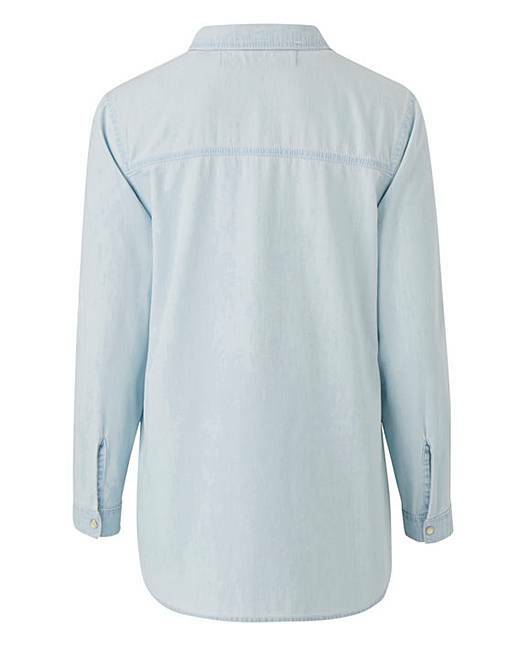 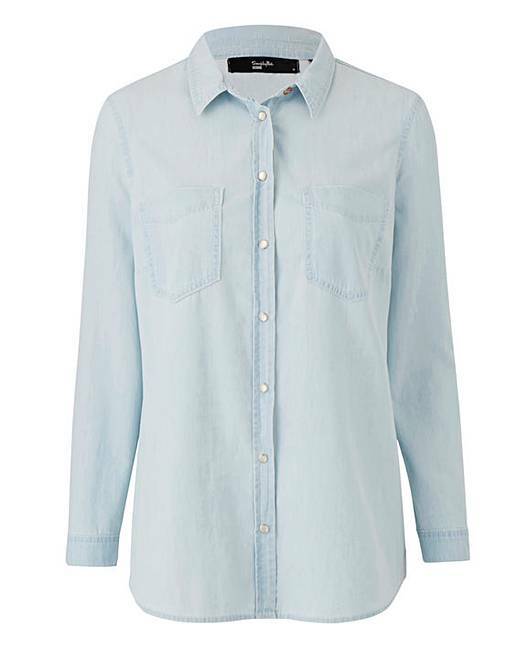 For cool cowgirl style, look to this lightwash denim shirt for style inspo. 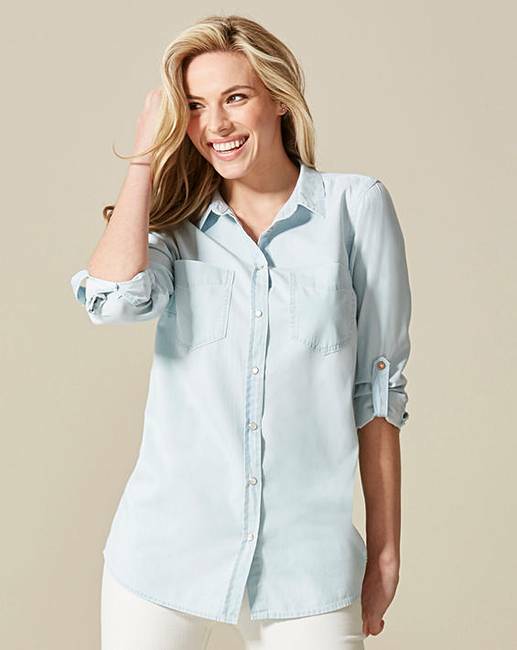 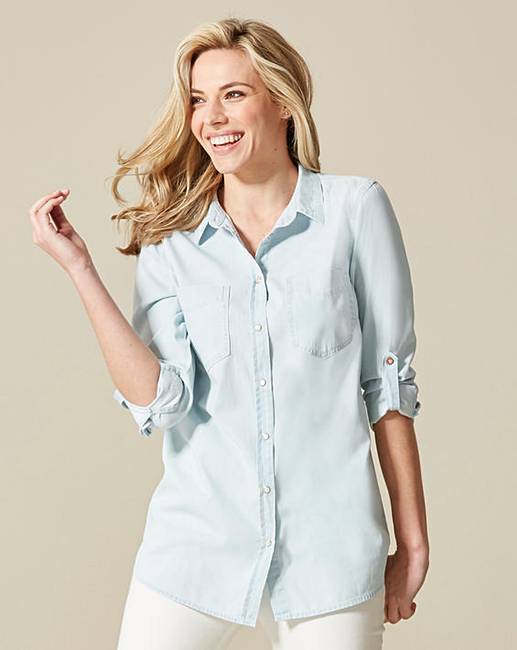 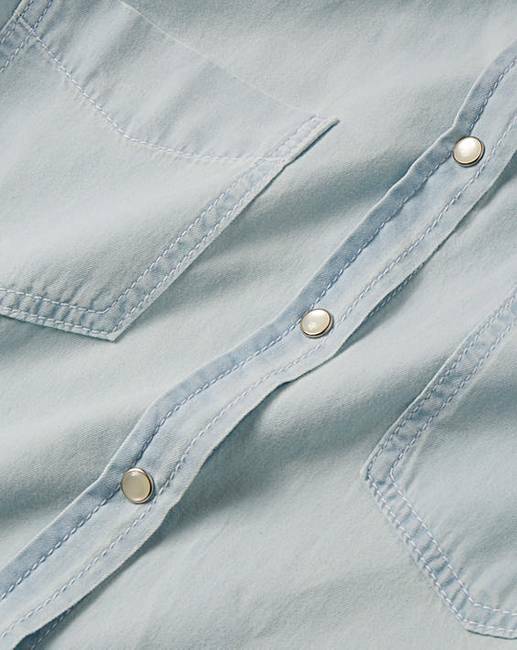 In a super soft denim, this versatile button down shirt is your go to piece this season. 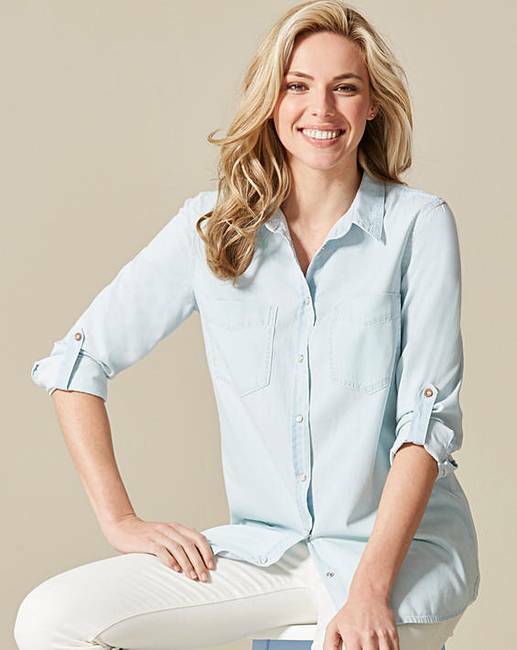 Featuring a faux pearl stud fastening with two front-patch pockets and adjustable sleeves, dare to double denim and style with white skinny jeans and ankle boots to complete the look.